Interior Design: Cristina Oberti Interior Design Inc. When former Deep Cove resident Will Stevens was house-hunting, he looked all around East Vancouver, False Creek and Mount Pleasant, but ultimately ended up coming back to the North Shore. “I heard some very negative experiences about some of the bidding wars to get into entry-level second-hand purchases,” said Stevens, who works in software sales in downtown Vancouver. “You get your hopes up and your eyes set on something and you’re able to put in what you think is a competitive offer, and then get into a situation where you get outbid and stretched in terms of what you can afford. Instead, Stevens visited the newly opened Green on Queensbury presentation suite with his realtor and purchased a one-bedroom 680-square-foot home in the three-building complex of condos and townhomes being built on a rise where North Vancouver’s Third Street meets Queensbury Avenue east of Lonsdale. The big attraction for Stevens — who has lived in East Vancouver for about six years and spent the last 18 months scouring neighbourhoods for a home to buy — was the setting for Green on Queensbury, which overlooks the five-acre Moodyville Park. It includes creative landscaping with water features, children’s areas and even a basketball/tennis court. For Stevens, those amenities, coupled with the more human-scale low-rise profile of the three West Coast contemporary designed buildings, provide a sense of community he doesn’t find with highrise developments. Within Moodyville Park are walking and biking trails that connect with Pacific Spirit Trail, a 35-kilometre waterfront-oriented greenway that ultimately will stretch from Deep Cove to Horseshoe Bay on the North Shore. Green on Queensbury is just one of several developments in a master plan for several blocks of Third Street, formerly a collection of about 300 dilapidated single-family homes whose properties were assembled to make way for about 2,000 multi-family homes. The long-overlooked area actually has a surprisingly colourful history. Considered the birthplace of North Vancouver, Moodyville was the spot where the city’s first European settlers worked and lived. That first community included a colourful American entrepreneur named Sewell Moody, who, in 1865, bought a sawmill that turned out massive beams from locally logged cedar, hemlock and fir for shipment to China, Australia, Great Britain and even Peru. One of the moves that permitted formation of the park was a critical land swap the developer made with the municipality, said Parham Mahboubi, Qualex Landmark’s vice-president of new developments and marketing. “It was not a very attractive place,” he said, pointing out that the swap permitted the removal of a city-owned rundown four-plex rental building to create a more level and larger area, and to redevelop Moodyville Park as more usable public space. Sales of homes have been brisk since the presentation suite was opened earlier this month, he said, paving the way for sales of the second building to commence this fall. Inside, the developer has focused on higher-quality finishing, including integrated European-crafted cabinetry for the spacious kitchens. The cabinetry includes space-saving features like pull-out storage instead of the traditional Lazy Susan, under-cabinet lighting and pantry spaces in selected homes. Countertops are premium quartz and chrome faucets are by Grohe. In one-bedroom units, the developer has included a Liebherr 30-inch refrigerator with ice maker; in the two-bedroom homes there is a 36-inch Fisher & Paykel french door fridge. All homes have a Fisher & Paykel stainless steel gas cooktop, 24-inch integrated double-drawer dishwasher and 30-inch wall oven, an AEG-brand 30-inch built-in range hood, a Panasonic built-in microwave and front-loading washer and dryer. The homes have nine-foot ceilings in the living areas, and windows that come with roller shades. Flooring is quality wood laminate with an option to upgrade to carpeting in the bedrooms. The master has a vanity with quartz countertop, under-mount sinks and a linen closet. Large-format porcelain tile is used for bath surrounds and floors with quartz accents for shower niches. Showers feature a frameless glass design and the mirrors are framed in the same wood material as the cabinetry. The two-bedroom models have variously sized ante-rooms that could be used for storage or a small home office or den. The building’s amenities include a fitness room and lounge area plus a separate suite for visiting guests. The development’s name — Green On Queensbury — also refers to the green energy provided by the Lonsdale Energy Corp.’s district energy utility, which supplies hot water circulated through underground piping and mini-plants that provide heating and cooling. The project also incorporates several sustainable strategies, including LEED (gold) for homes, a green rating system that measures a building’s overall sustainability performance in eight categories. Parking runs underneath all three buildings and includes charging for electric vehicles. Qualex-Landmark was founded in 2002 and has won several awards for its residential and commercial projects in both B.C. and Alberta. British Columbia Premier John Horgan has announced funding for 1,000 new modular housing units in an attempt to tackle the growing issue of homelessness. Horgan made the announcement Friday in Vancouver, where 600 units are set to be constructed on city-owned land. The province has committed $66 million to the Vancouver buildings alone, where residents will also be able to access support services to help them rebuild their lives. Housing Minister Selina Robinson says too many people are living on the street in Vancouver and throughout the province and the modular units offer a short-term solution while a more permanent housing strategy is developed. The buildings are designed to contain about 50 units, each with an individual kitchen and bathroom, while laundry and other amenity spaces are shared. The province is planning to build a total of 2,000 units over the next two years, and B.C. Housing is focusing on several communities, including Smithers and Surrey, that have immediate need for housing. The province has set aside a total of $291 million for the 2,000 units plus an additional $170 million over three years to fund staff for support services at the buildings. Posted in Real Estate Related | Comments Off on Province sets aside $291 million to fund modular housing for homeless in B.C. Paul King Jin, the alleged suspect at the centre of a major RCMP probe into money laundering and underground banking, is connected through big B.C. 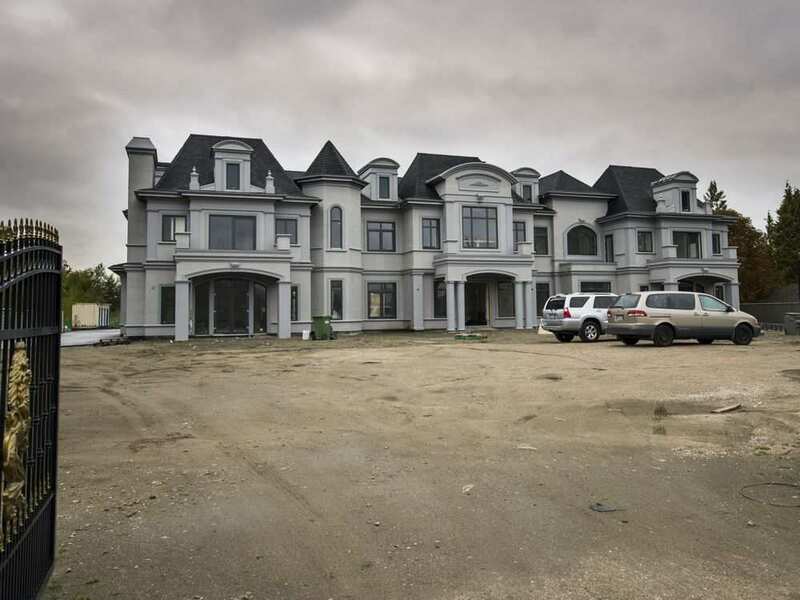 real estate loans to “high-risk” VIP gamblers from China, a Postmedia investigation shows. 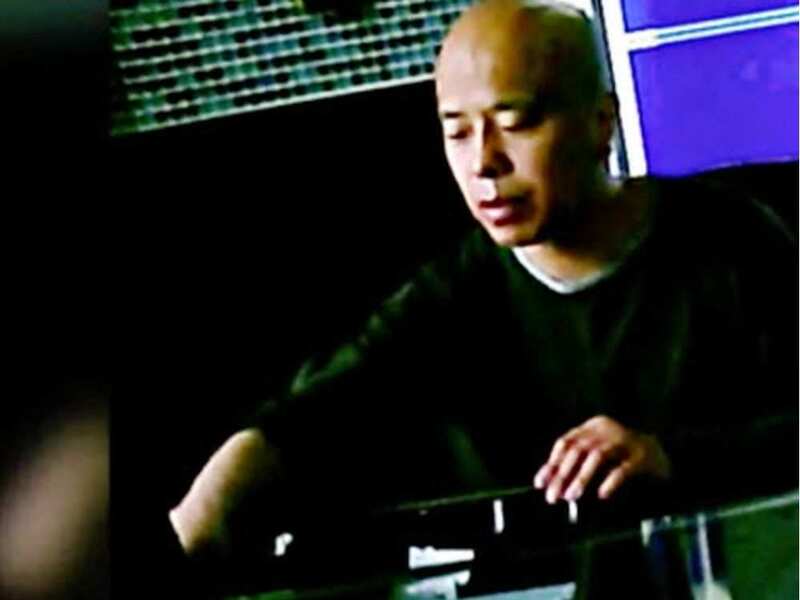 The RCMP’s investigation, dubbed E-Pirate, alleges that Jin and his associates used an illegal cash exchange business in Richmond to lend suspected drug dealer cash to high-roller gamblers who, with troubling ease, used massive wads of small bills to buy chips in B.C. casinos. These ultra-wealthy Chinese ‘whale’ gamblers, who were recruited in Macau casinos, could pay back these loans in China, thus ending up with cash in Canada while avoiding China’s tight capital-export controls. While the RCMP and B.C. government have focused on alleged money laundering using B.C. casinos and underground banks in Mainland China and Richmond, investigators have not apparently traced whether these Chinese VIPs sometimes cashed in their chips for B.C. casino cheques in order to fund real estate investments and luxury homes in B.C. It would be odd if they didn’t, according to experts on the Macau gambling model. In Macau style junkets — which are designed specifically to get big money out of China — gambling is often a secondary consideration. BCLC documents, obtained by Postmedia through freedom of information requests, allege that 36 VIP gamblers, mostly from China, were linked to massive cash drops from Jin’s network. Postmedia’s cross-referencing of B.C. civil court filings, land title documents and BCLC documents suggests that B.C. real estate was indeed a big bet for a number of these “high-risk” VIPs. In 2014, one high-roller was able to take $645,000 in small bills dropped off to him, and buy gambling chips at River Rock Casino. B.C.’s gaming enforcement branch was interested in the gambler’s “recent use of large volumes of un-sourced cash and casino value chips at River Rock Casino,” documents say. Documents say BCLC knew the man had significant assets, including a Vancouver mansion. Land title records show the man has a $14-million house near the Point Grey Country Club. Information from B.C. civil court cases, usually filed when a loan was not repaid, claim that Jin made big loans to some casino gamblers to fund B.C. real estate development. In other cases, filings allege, loans were made by Jin to BCLC-identified VIPs for them to make mortgage payments on Vancouver homes. Another common transaction for Jin and these Chinese gamblers, according to civil filings, was for Jin to give them massive short-term loans, secured against their Vancouver property holdings. The most stunning alleged example of this is the civil claim filed by Jin against gambler Jia Gui Gao. Gao was identified in BCLC’s probe of Jin’s casino cash delivery network as logging 28 suspicious casino transactions, documents obtained by Postmedia show. Gao has owned at least five properties in Greater Vancouver since 2012, and has sold at least four, for total proceeds of $48.4 million, B.C. land title records show. Jin’s claim says that Gao and he met in 2014. Gao was developing land in West Vancouver’s British Properties, filings say, and he needed capital for his real estate projects. Gao’s main purpose for taking multiple loans from Jin was “for real estate development … (however, Jin) is also aware that on occasions (Gao) spent the money lent to him on gambling and women,” Jin’s claim states. Jin’s loans to Gao were to be secured through a promissory note by three of Gao’s West Vancouver properties, and two of his Vancouver properties, the claim states. Jin, in 2015, claimed he was owed $2.3 million against Gao’s West Vancouver home. The home was valued at about $8 million at that time. But a foreclosure petition filed by another mortgage lender Gao used to buy the home, Accountable Mortgage Investment Corp., said that as of June 2017, the property had over $28.8 million in mortgage loans secured against it from eight different lenders. Jin, who was eighth lender in line, claimed he was now owed $8 million on the property, according to the petition. In an affidavit, Guiyun Ogden, the CEO of Accountable Mortgage Investment Corp., said that she located Gao in a Macau casino hotel by talking to a number of the private lenders on Gao’s West Vancouver property. “I am concerned that the petitioner’s security is in jeopardy and want to see the property sold through the judicial process,” Ogden’s February 2017 affidavit says. Zachary Ng, Jin’s lawyer in the case, told Postmedia this week he would “convey” requests for comment on allegations and cases involving Jin. Neither Jin nor Ng has responded for comment. Postmedia’s review of B.C. land titles shows that Shi owns at least eight properties in Greater Vancouver, for a total current value of $28.8 million. The luxurious properties include Fox Island on the Sunshine Coast, and the $7.5 million Abode Island, a private island just off the coast of West Vancouver. Shi owns two downtown penthouses worth $10 million in total, as well as two Richmond farmland properties. One of the properties reportedly includes a 22,000-square-foot mansion where Shi will offer luxury hotel rental suites to visitors from China through his B.C. hotel and travel companies. Another Paul Jin claim against two of the gamblers named in BCLC’s cash-drop off list, Pi Long Sun and Ying Wang, says the couple are real estate developers from China who live in Richmond, according to Jin’s claim. According to Jin’s claim, Jin lent the defendants $600,000 on Aug. 1, 2015, which was secured by their Richmond property, and was to be repaid on Sept. 1, 2015. Another Paul Jin lawsuit that alleges unpaid debts says that in 2013 a borrower who owns a Point Grey home, now valued at about $7 million, borrowed $892,000 to “purchase a property … (and that, Jin) transferred $500,000 into the bank account of the defendant. The balance of the loan was paid to the defendant by the plaintiff in cash.” The loan was recorded with a promissory note that was secured by the defendant’s “primary residential property,” on Sasamat Place, Jin’s claim states. Not only are prices on the rise again, but interest rates have begun to climb as well. RBC’s housing affordability measure shows the proportion of median pre-tax household income required to service the costs of owning the average home — factoring in both condos and singlefamily detached homes — including mortgage payments, property taxes and utilities. The Toronto area was the hardest hit. RBC says affordability declined the most compared to the previous year and hit the worst level ever measured in the city. The Ontario government’s actions in April to cool down the housing market, including a foreign buyers tax, did not have an immediate impact on provincial housing prices in the second quarter, RBC said. The Toronto area was secondhighest year-over-year at 75.4 per cent, marking an increase of 12.7 points. Victoria came in third at 58.6 per cent, with a year-on-year increase of 7.3 points. Across Canada, RBC’s housing affordability measure hit 46.7 per cent in the latest quarter, a level not seen since the end of 1990 and a jump of 3.7 points from a year earlier. Affordability in Edmonton worsened slightly year-on-year to hit 30.3 per cent. In Calgary, however, affordability deteriorated by 1.5 points year-on-year to 39.2 per cent. Rising interest rates will further weigh on Canadians’ ability to afford a home, RBC said. After rate hikes in June and September, RBC’s economists expect the Bank of Canada to raise its overnight rate one more time before yearend and three times in 2018 for a total increase of 100 basis points. RBC Economics estimates that, everything else remaining constant, a 100-basis-point increase in mortgage rates would worsen RBC’s national housing affordability measure by roughly 3.5 percentage points. Canada’s most expensive housing markets would be hit harder, RBC adds, noting Vancouver would see an almost seven-point increase. “This would occur at a time when housing affordability is already stretched in some of Canada’s largest markets,” the report says. While the luxury market is in flux throughout the country, sales are red hot in the GTA. According to a RE/MAX report, luxury condo sales in the GTA are up a whopping 85% year-over-year between January and July in 2017, with Oakville solidifying its place as one of the region’s most exclusive areas. Victoria, B.C. and Calgary also boosts, but Vancouver’s luxury single-family detached home sales dropped 32%, in spite of its luxury condo market getting an 11% bump. The same report speculates that the foreign buyer tax likely played the biggest role in cooling Vancouver’s single-family detached market. According to Christopher Alexander, Regional Director, RE/MAX INTEGRA Ontario-Atlantic Canada Region, industry insiders have been waiting baby boomers to begin downsizing en masse, and it would appear that they finally have. He added that boomers appear to be moving downtown in droves. Condominiums aren’t especially spacious in the GTA, and with a shortage of single-family detached homes, in addition to their exorbitant price tags, many people are purchasing larger, luxurious condos. Alexander added that high GDP and immigration, in addition to considerable equity and buying power in the GTA, have created ideal market conditions. Recently reeling from misfortune in the oil sector, Calgary’s luxury market is recovering nicely. According to sales agent Patrick Murray of Coldwell Banker Mountain Central, the $700,000 to $1 million market outpaced the $600-699,000. The former saw 1,244 sales in 2017 as of the end of August, while the latter segment had 1,233 sales. In its latest study, real estate team HM Commercial Group found that Kelowna is poised to distinguish itself in the B.C. housing market through its accelerated pace of building in the residential segment. “Demand for all forms of housing remains exceptionally strong and the City of Kelowna favours a policy towards densification in the urban town centres, which also bodes well for more affordable forms of multi-family development,” according to the Fall 2017 HM Commercial Report. As of the third quarter of this year, the value of multi-family building permits in Kelowna totalled $95.5M, compared to the $76.9M for the whole of 2016. “[This] is an excellent sign of continued strength in the market and means more people living in the urban centres and increased vibrancy,” the report stated. The city will also benefit from an influx of wealthy elderly Canadians, HM Commercial predicted. “As baby boomers retire, they continue to look to the Okanagan. With fewer properties available in Vancouver, Kelowna and Victoria are benefiting,” the report said, adding that the demographic shift will also be apparent in the younger generations. Posted in Real Estate Related | Comments Off on Kelowna to become multi-family housing hub? “Emotions are playing too big of a role in the home buying process and are tempting buyers to spend more than they can afford,” says Roy D’Souza, Associate Vice President, Real Estate Secured Lending at TD Canada Trust. A report from TD reveals that buyers are financially over-confident when buying a home with 57% saying they know what they can afford but a huge 97% saying they wish they’d factored in costs other than the mortgage when determining their budget. Often they forget property taxes, maintenance costs and lifestyle expenses and D’Souza says this puts them under financial stress, especially when their circumstances change unexpectedly. More than half of those surveyed (58%) say they’re worried that a rise in interest rates will affect their ability to afford a home, while 43% worry about job stability and other personal issues. Do you live in a well-located older condominium complex in need of extensive repairs? Have you been thinking of buying into an older condominium complex, or know someone who is? Read on. Although condominium legislation was first approved in the late 1960s, it was not until the early 1970s that condominium developments were built in Vancouver. While many early projects continue to provide wonderful accommodation, others have been poorly maintained and require significant repairs, often costing more than the homes are worth. Other projects are in locations ripe for redevelopment, making them two times or more valuable as vacant sites. Until November 2015, an older condominium development could not be wound up or liquidated without the approval of 100 per cent of the residents. While a few projects were sold to developers with unanimous approval, many sales did not proceed because one or more residents did not want to sell. After all, these were their homes. Many were elderly and wanting to live out their final days in the apartment they had enjoyed for 40-plus years. However, in November 2015, Bill 40 received royal assent from the British Columbia legislature. It amended the Strata Property Act with respect to the winding up of a condominium project. The Bill 40 amendments resulted in two important changes. The threshold required to terminate a strata development was reduced from 100 per cent to 80 per cent of the strata’s eligible voters. Secondly, when there was not unanimity, the strata must apply for a court order to provide some protection for dissenting owners. Since the legislation was passed, it seems like every older condominium along a major road or near SkyTrain has a realtor knocking on the door. Increasingly, strata corporations are considering a potential windup and sale. Sadly, this is also causing major strife between those wanting to sell, and those wanting to stay. Increasingly, legal firms are specializing in this aspect of property law. In March 2017, the B.C. Supreme Court approved the first sale of a condominium complex. Although owners of two of the building’s 30 units previously voted against selling the building, no one was in court to oppose the sale. I’m told another 10 projects are now going through the court process. However, in some cases, the dissenting owners are hiring their own lawyers to challenge the majority decision. A key issue for many owners is how the proceeds from a sale will be distributed. Three different formulas could apply depending on when the project was built. They are unit entitlement, interest on destruction, or B.C. Assessment valuation. A strata corporation may also create its own custom-made formula through unanimous vote. Unit entitlement is the number assigned to each strata lot that determines its share of common property and assets, and is used to calculate strata fees and special levies. It is generally based on size, not value. However, if a project was developed in the 1970s, this is the formula that was used to distribute proceeds if a building burned down. For those projects developed in the 1980s or 1990s, prior to registration of the strata plan, a schedule of “Interest on destruction” was prepared. This set out the value of a strata unit compared to the whole building, usually based on its initial sales price in relation to the total sales prices. For more recent projects developed under the current Strata Property Act, B.C. Assessment values are to be used to determine each unit’s share of the proceeds in the event a building is destroyed. However, there is a problem using B.C. Assessment’s valuations, since for many projects, they have been found to be skewed and inconsistent. Furthermore, since so many condominium projects are now being viewed as redevelopment sites, B.C. Assessment no longer values their units based on current use. Rather, they are valued as part of a future vacant redevelopment site. Consequently, property taxes are rising significantly, even though the buildings may need extensive repairs. While many planners, realtors, and developers may view this as a good thing, it is not for those wanting to stay in their homes. It’s time for a public conversation on this. We have an issue of fairness in our strata that is dividing our community. Our strata is divided into two basic types of units. The first 10 floors are hotel use, and floors 11 to 16 are residential condos. The hotel has a pool that has always been included in the common expenses of the strata corporation, even though the strata corporation only has access to the hotel if we pay a club membership fee. No one in our strata feels we should pay the membership fees, and the pool is identified on the strata plan as limited common property for the exclusive use of the hotel. We challenged the payment schedule, but were told by the property manager that we are required to either have a bylaw that allocates expenses by type, or a bylaw where we create sections to segregate our common expenses. How is it possible to create an exclusive use where one owner benefits but everyone pays for it? The Strata Property Act and Regulations have specifically addressed this issue. Regulation 6.4 identifies a formula that allocates operating expenses for limited common property to only those strata lots that benefit from the expense. In your strata, this requires that the operating expenses of the pool, hot tubs and saunas be allocated to only those strata lots that have been identified as limited common property designates. The key qualifying condition in this formula is that the expense must solely benefit the limited common property. The pool servicing and maintenance are obviously exclusive expenses, as your residential owners do not have a pool, sauna or hot tubs. The gas and electric bills may also be expenses of the hotel if they are metered separately. You do not require a types or sections bylaw for these allocations. If the owner of the hotel wishes to set up a membership for the pool services, that is at their discretion. However, your strata should also seek legal advice on the imposition of user fees if they are charged by the strata corporation, and whether the fee structure is valid, as it is neither a rule nor a bylaw in your strata. The same types of expense allocations can be found in a variety of strata corporations across the province — for example, strata corporations with marinas where only the waterfront units have access to the marina facility, which is limited common property, and those designated areas are an expense that can be solely attributable to the waterfront strata lots. Unfortunately, the act does not make reference to the limited common property expense allocation; it is only a part of the regulations. It helps to read the whole book. You are currently browsing the Les Twarog Vancouver Real Estate and Condo Blog blog archives for September, 2017.